Help Vikas to cycle through 29 states of India. 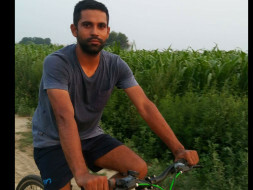 Hi all, this is Vikas Chaudhary. I am an athlete who never got a platform. Now I have decided that I will travel to the 29 states of India and collect mud of these 29 states of my land. 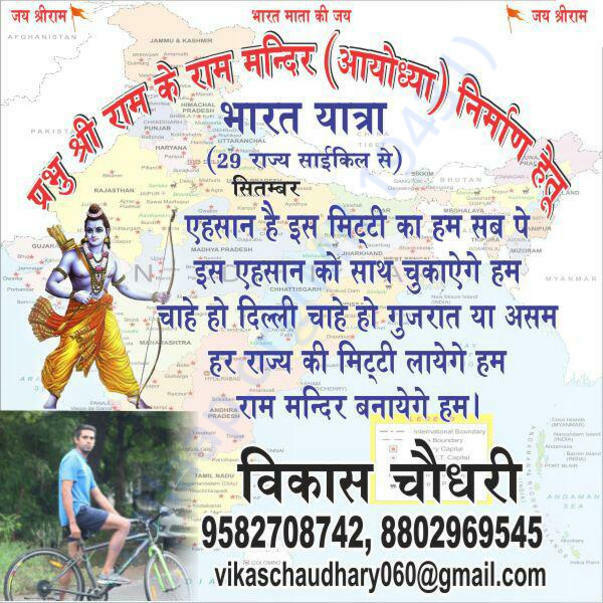 After that I will cycle to Ayodhya and make a foundation for my Lord Rama temple. Ayodhya is the memorial of my Lord. Please help me raise funds for this travel.